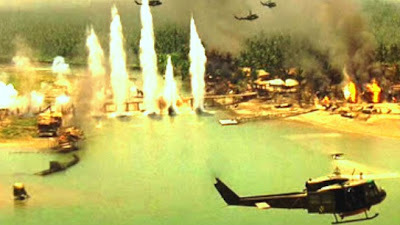 Apocalypse Now is one of my all-time favorite movies. In adapting Joseph Conrad's novella Heart of Darkness for the big screen, but setting it in Cambodia during the Vietnam War, director Francis Ford Coppola created one of the most ambitious, absorbing and awe-inspiring examples of what I refer to as "immersive" (and sometimes "meditative") cinema I've ever seen. Some call it the greatest war film ever made but I think, like all masterpieces, it transcends the genre in which it resides and becomes something wholly other: something deeper, more profound. It is about a man surrounded by madness, trying to hold onto his sanity as he goes to kill another man who has lost his. The protagonist's journey into the depths of the jungle actually is a journey into the darker regions of his own soul. Coppola's film was a landmark in motion picture history (winning the Palme d'Or at Cannes and receiving multiple Oscar and Golden Globe nominations) and his achievement is all the more impressive when one learns of what really was involved to make it. 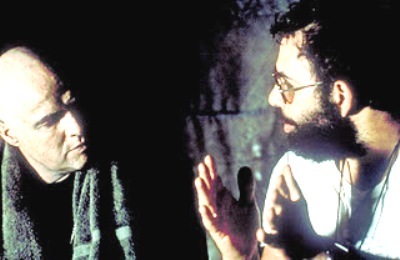 Although newspapers reported many of the difficulties encountered in shooting Apocalypse Now in the latter half of the '70s, it wasn't until 1991, when the documentary Hearts of Darkness: A Filmmaker's Apocalypse, was released, that the full story behind Coppola's Vietnam film became known. I actually watched the doc before I ever saw Apocalypse Now and it gave me an appreciation for the film that I doubt I would have had otherwise. To this day no other documentary (besides perhaps Burden of Dreams) more compellingly chronicles the aspirations, obsessions, insecurities and ultimate triumph of a young filmmaker tackling his biggest and most challenging project. Hearts of Darkness was directed by George Hickenlooper (who died late last year) and Fax Bahr, but the majority of its footage was shot by Coppola's wife Eleanor during the filming of Apocalypse Now. As the director's wife, Eleanor had access to the troubled filmmaker that few other documentarians would. In addition to recording candid interviews with her husband as well as on-set interactions between him and his crew and actors, Eleanor recorded talks that they had alone in which Coppola revealed his fears about the project as well as his own career. After Eleanor turned her footage over to Bahr and Hickenlooper, they shot new interviews with Coppola, Martin Sheen, Laurence Fishburne, Robert Duvall, Dennis Hopper, cinematographer Vittorio Storaro, writer John Milius and even George Lucas. They then enlisted Eleanor to provide the film's narration (except for some passages from Conrad's novella Orson Welles read on an old radio broadcast) and premiered it at Cannes to great critical acclaim. In the U.S., it premiered on Showtime before being released theatrically 20 years ago today. The film depicts Apocalypse Now's tumultuous shoot in a very honest and forthright manner. It didn't escape Coppola's notice, as he said in the now famous quote shown above this post, how much the story being filmed mirrored his own experience trying to tell it. Originally, Harvey Keitel was cast in the lead role of Capt. Ben Willard, but after seeing the dailies, Coppola was dissatisfied and replaced him with Martin Sheen. During the shooting of the now iconic "Ride of the Valkyries" helicopter scene, several copters suddenly were pulled away by the Philippines government to battle rebels. At one point, Martin Sheen had a heart attack and needed to be flown out of the country in order to have surgery. Marlon Brando, who was being paid the astronomical sum of a million dollars a week, showed up severely overweight and not having read the Conrad novella as Coppola had requested. Dennis Hopper's brain was so fried from drugs that he couldn't remember his lines. Eventually, Coppola was forced to abandon the script and make up a lot of it (including the ending) as he went along. What initially was slated as a five-month shoot lasted more than two years and the budget ballooned from $14 million to more than $30 million. 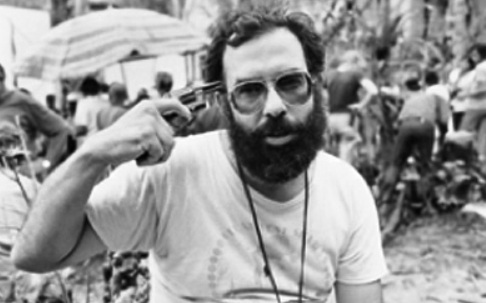 In some very revealing audio tracks, Coppola confesses to his wife that he's certain the film is awful, will fail, that he'll become a laughingstock, etc. It is somewhat ironic that Coppola was correct that his career has fallen way short of its early promise while his contemporaries (Spielberg, Lucas and Scorsese) have, for the most part, continued to create films that are financially and/or critical successes. It did not, however, have anything to do with Apocalypse Now which, in spite of the incredible trials and tribulations faced during its production, was (and still is) considered one of his great accomplishments.